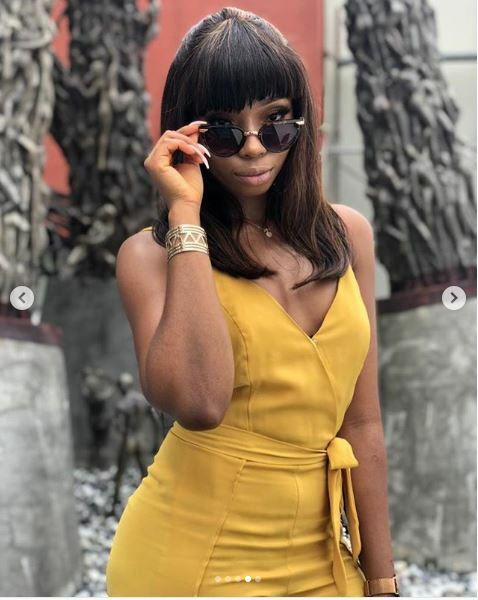 Bamike Olawuni who participated in this year’s edition of the Big Brother Naija reality show has uploaded lovely photos on her Instagram page. BamBam has continued to soar high in fame outside the reality show which ended several months ago. From the look of things, the 29-year old who is romantically involved with Teddy A is doing well in acting, modeling as well as branding. BamBam has also been doing business on the sideline as she markets a beauty oil.